Following The Platinum Edge Agile Roadmap to Value, the first and foremost step in any project is to create the product vision statement. The vision statement is like a lighthouse, shining a beacon that you can see from afar. It's here so you can be sure you are moving in the right direction, regardless of whether it's dark, stormy or even when the sky is calm. In short: the vision statement is here to ensure that strategies are aligned and that the development team spends their time creating the right product. It's the product owner's responsibility to know most about the product, including its goal. Therefore, the product owner creates the vision. Project stakeholders will likely want to have input before this can happen. For example, subject matter experts may provide customer details, or a senior manager may ensure the product is properly aligned with overall business objectives. The first step is to understand the product. Ask yourself as many questions as possible. How will the product benefit the company that is creating it and the end user? Who is the end user? How is this product similar to already existing products? How is this product different than already existing products? Once you have a good understanding of the product's objective, you can give the vision statement a first go. A great vision statement is more important than you would probably think. In Crossing the Chasm, Geoffrey A. Moore – (don’t italicize author’s name) describes how early adopters are often attracted by vision. These are the people you want to attract; People who will enthusiastically embrace your product and can become ambassadors and convince or teach other people to use it. Once the draft product vision statement is ready, read through it one more time before sharing it with other people, including but not limited to: project stakeholders, the development team, and the scrum master. Find out what other people think; Whether the statement is clear, if they understand the objectives of the products and if they have any additional input. Take the feedback and revise the vision statement accordingly. Do this as many times as it takes until everybody is clear about what you want to convey. 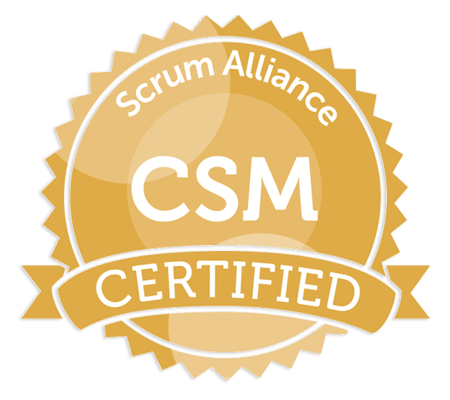 After your final revision is done and dusted, print it out (or write it down) and hang it up somewhere prominent where you and the scrum team can see it. Depending on your organizational structure you may need official signoff from a senior manager. However, this shouldn't be a problem if the last step was executed well. Once this is done, you are ready to start planning your product roadmap.